Is Disney Reviving the Lucasfilm Games Division? UPDATE: A Lucasfilm rep followed up with us today. They said that Lucasfilm’s licensed games business and their relationship with EA remains strong, and the team will focus on Star Wars: Jedi Fallen Order for the time being, which launches this fall for consoles and PC. ORIGINAL STORY: Although Disney’s acquisition of the Star Wars franchise from George Lucas was huge back in 2013, it wasn’t without setbacks. A big one for some was the closure of LucasArts, a label known for producing top-tier Star Wars games, along with inspired original titles. However, it looks like Disney is primed to bring that era back in style. Lucasfilm Games offers up a lot of potential classic games that could come back. It’s a good opportunity to see favorites like Monkey Island and Maniac Mansion get updated versions, remakes, or sequels. Additionally, obscure titles like Zac McCracken and Loom may also be possible. Double Fine previously re-released LucasArts’ beloved Grim Fandango, Day of the Tentacle, and Full Throttle, which received rave reviews from fans. As far as Star Wars goes, Electronic Arts still has control of its game license. 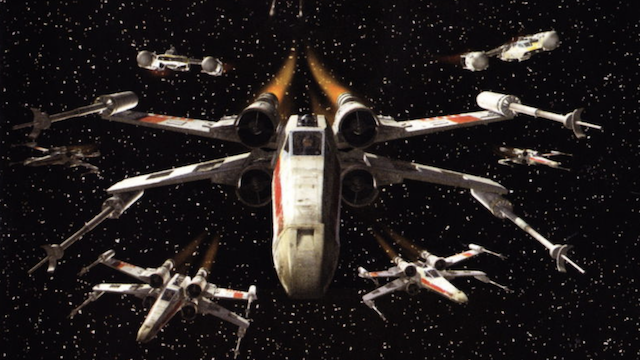 However, Disney could easily bring back older titles like X-Wing or TIE Fighter with EA on board. For that matter, Indiana Jones games are long overdue for new titles. We’ll have to wait for an official announcement to see just what Disney has in store. What classics do you want to see return as part of Lucasfilm Games? Let us know in the comments below!